TV's Fay Ripley, star of Cold Feet and Reggie Perrin will open the 54th Bramley Village Fete on Sunday 22nd May. 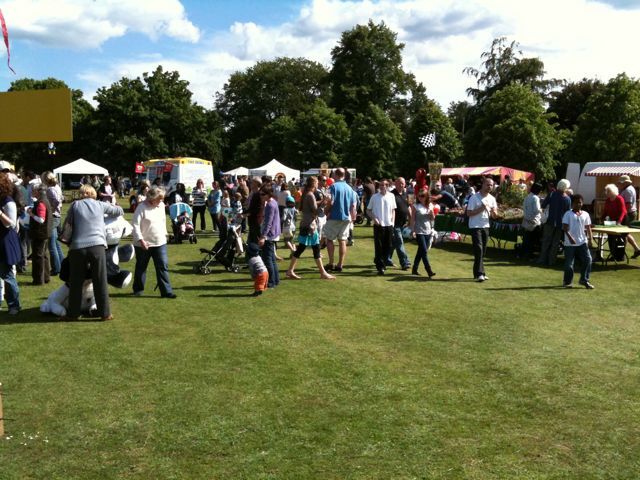 The fete, in aid of local charities including Bramley Infant School, will open at 12 noon, following a children's fancy dress procession which will leave the old Bramley and Wonersh Station at 11.30. Around the main ring there will be a wonderful selection of side shows and stalls selling books, plants, ice creams, cakes and drinks. So if you fancy your chances at 'bowling a pig' followed by some home made cake and cider then we'll see you there. 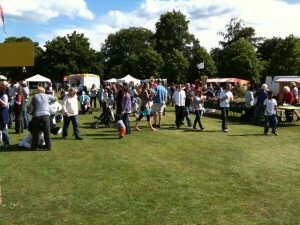 3 Responses to "Bramley Village Fete 2011"
please can you give me some more details on the Bramlry Village Fete 2012. I would like to have a stall selling handmade jewellery and Partylite candle products. Is it still possible to have a stall at the fete on Saturday selling small items of hand painted furniture and mirrors. The company is The Shabbychic store based on Whipley Manor farm Bramley.